I earned my B.A. in chemistry in 1998 from Ohio Wesleyan University and my Ph.D. in physical/analytical chemistry in 2003 from the University of Utah. In 2003, I joined the faculty of Austin College (TX) eager to return to a liberal arts college. As a faculty member in chemistry, I have worked extensively with undergraduate research students leading to two publications with undergraduate first authors. Many of my undergraduate research students have presented posters at regional and national meetings. I have mentored 45 research students at Austin College of whom 53% were women and 27% were underrepresented minorities in science. In 2014, I was appointed program director for the interdisciplinary program in Gender Studies after teaching and serving on the committee for the program since 2006. I have a strong interest in understanding why women are underrepresented in science, regularly speak on the topic, and have an essay accepted for publication in a collection about women in academia. My research for many years has centered on using spectroscopy to better understand the structure and properties of colloidal and interfacial systems. One of my projects has examined organogelators synthesized by my collaborator in the Austin College Chemistry Department, Dr. Andy Carr, which are molecules that self-organize in organic solvents like oil and gasoline to gel them. My other project has the goal of improving solar cell efficiency in dye-sensitized solar cells by controlling their surface orientation and coverage. More recently, I have developed a scholarly interest in women’s underrepresentation in science. K.E. Reed; D.P. Aiello; L.F. Barton; S.L. Gould; K.S. McCain; J.M. Richardson “Integrating Leadership Development Throughout the Undergraduate Science Curriculum”J. Coll. Sci. Teach., 2016, 45, 51-59. K.S. 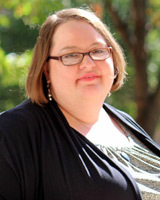 McCain “Overcoming the Department Bully: Women, Men, and Collaboration” accepted for Surviving Sexism in Academia: Strategies for Feminist Leadership, 2015, under contract with Routledge. J. L. Gray; C.M. Barnes; A.J. Carr; K.S. McCain “Effect of Hydrogen Bonding on the Amide II Band of Model Disubstituted Urea Compounds” Appl. Spec. 2009, 63, 1409-1413. A.M. Pierce; P.J. Maslanka; A.J. Carr; K.S. McCain “Using FT-IR to Examine Structure in Bisurea Organogels” Appl. Spec. 2007, 61, 379-387. I am a member of the advisory board for Child Advocacy Center of Grayson County.